If you’re looking to brighten up your home or need a gift idea for a housewarming present, we’ve got an amazing project for you. 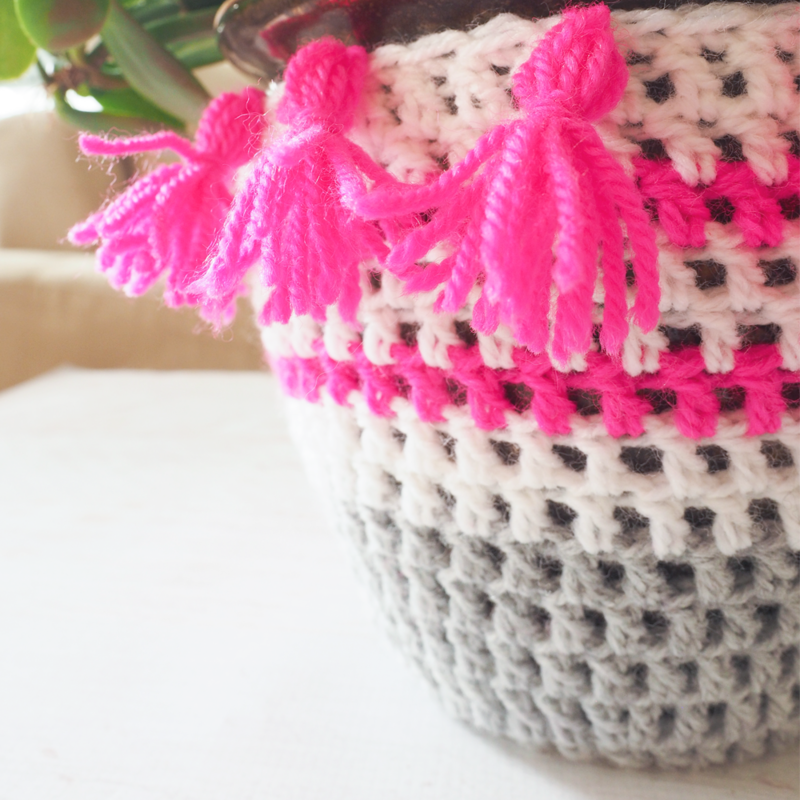 These Crochet Plant Pot Covers are so colorful, and a great way to liven up any room. These flower pot sleeves are warm and inviting, and add an element of style to your home. 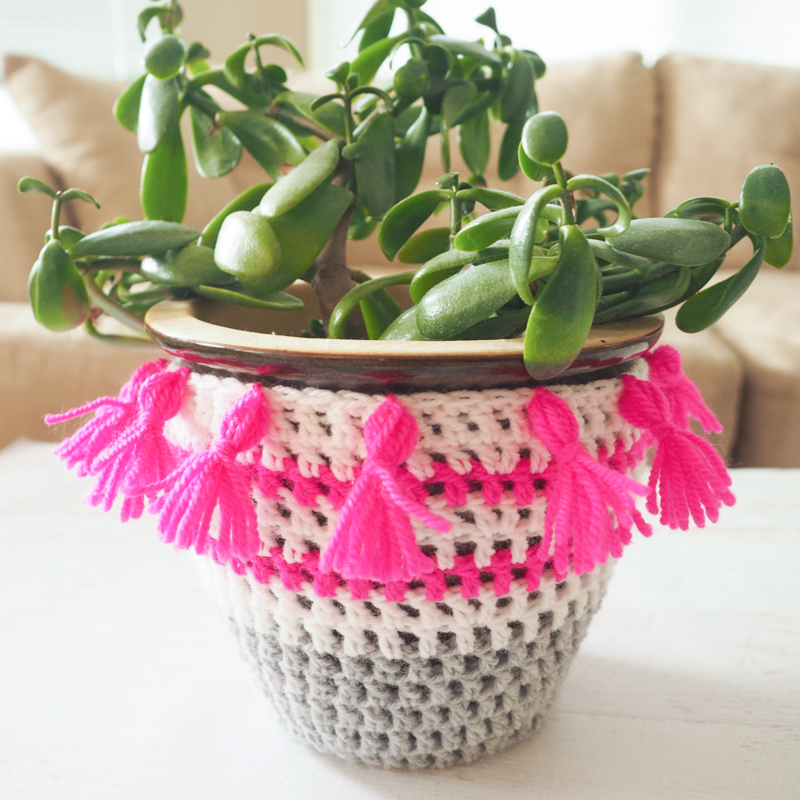 Creating crochet sleeves for your hanging plants has been happening forever. But adding a colorful, fresh look to your potted plants is new and exciting. Brighten up that dark corner of your home, or draw attention to your windowsill with these simple and bold patterns. Ch 4, sl/st in first st to create a loop. Wrap the yarn around 4 fingers, 6 times. Cut a piece of yarn that is twice the length as your tassels; put it through the loop at the top and tie a double knot then tie it through a single crochet. Pull the strings down into the tassel that were used to tie onto single crochet and tie a piece of yarn around the tassel. Wrap the loose end around the knot and pull it through with a tapestry needle. Place tassels around the top, every 4 sts. These make great gifts for your friends or loved ones moving into new homes. 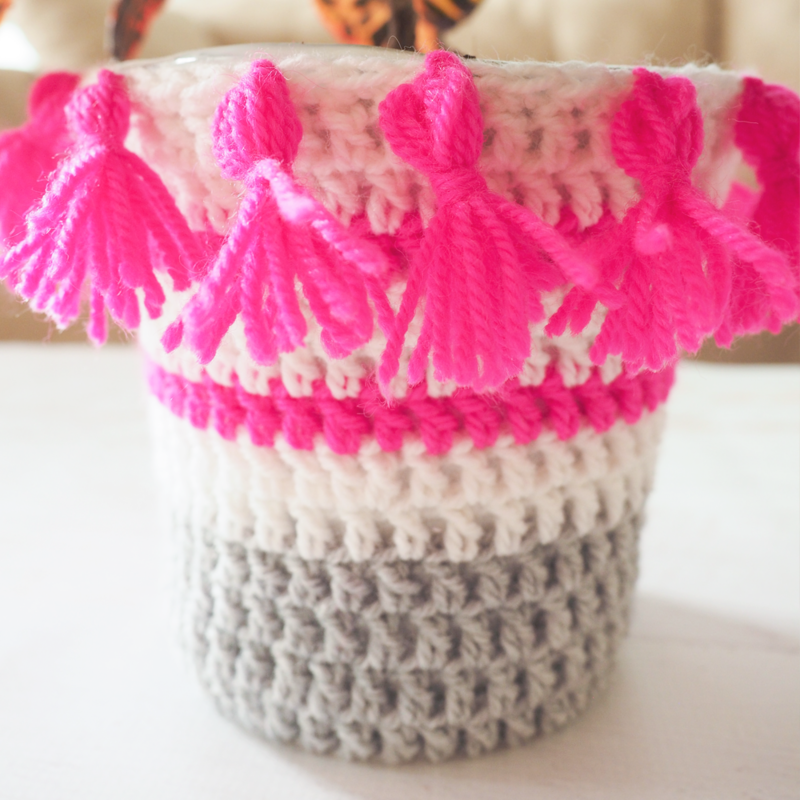 And these plant pot covers are so easy to make and really thoughtful. 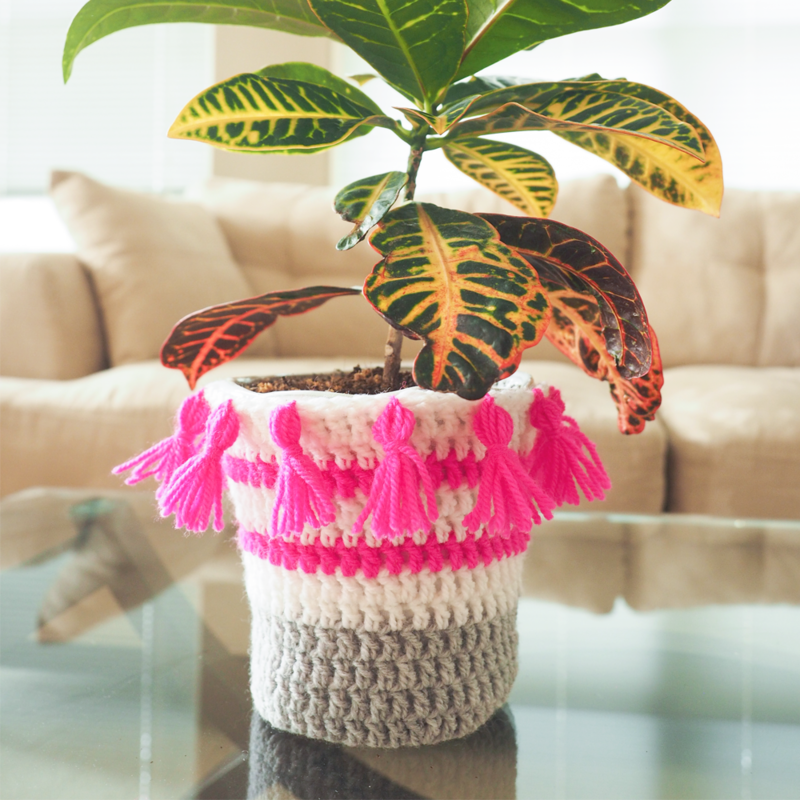 Whether you’re making a gift for someone else, or livening up your own home, these DIY Crochet Plant Pot Covers are bright and fun. They will really add a creative, and bold style to your home. What are you waiting for? You can make one in no time. Thank you for posting this. I love it. Making the tassels took longer than making the cover. It added the happy, color that was needed.